It’s #ShoppingSaturday! Today’s 5-a-day continues the #running theme in honour of tomorrow’s #LondonMarathon with 5 fab running outfits. @brooksrunning Versatile EZ Racerback from @upandrunninguk – Be a racy runner in this racer back style top @ £16. @DecathlonUK Deefuz Stretch ¾ tights – Look hot in these flattering running tights, ideal in the heat @ £22.99. @runningoutletUK Women’s Response DS 3/4 Tights – Look cool & stay cool thanks to Climacool® features @ £26.99. 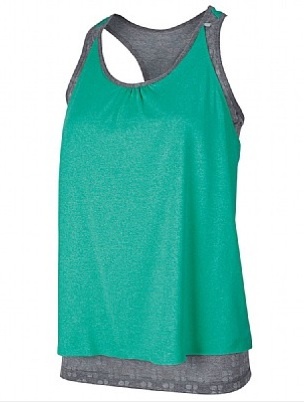 @SweatyBetty_UK Double Time Tank – Running is no sweat while looking hot in this racer back top @ £55. @sweatshoponline @adidasUK Women’s Team GB Hoodie – Top off running kit by looking a pro in Team GB top @ £54. 5 outfits to inspire those running sessions & ensure you look good while maximising training but which will run off with the #GTopSpot? Previous ArticleWork Hard. Play Hard.